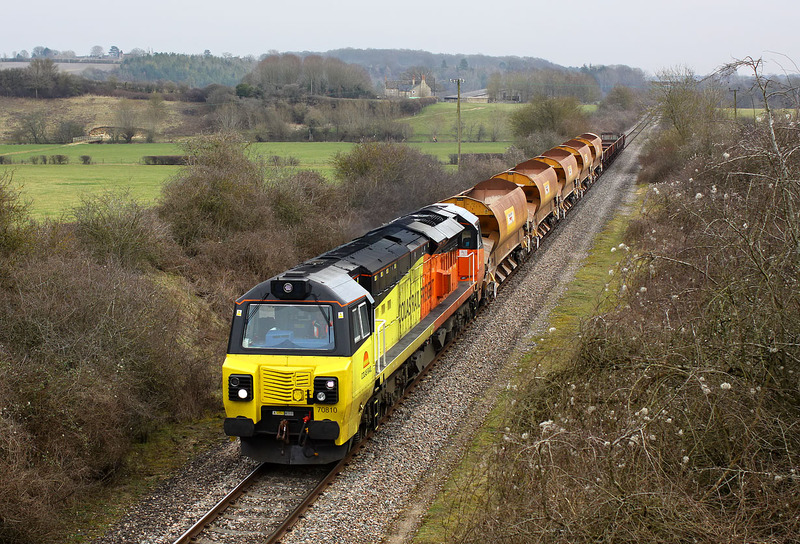 70810 passes Whitehill (between Combe and Finstock) on 12 March 2015 with the diverted 6M50 07:55 Westbury to Bescot engineers train. This should in theory be the last time that this train is routed via the Cotswold Line, as the train's normal route via Harbury will have reopened by the time of its next booked working. In the field just to the right of the railway is North Leigh Roman Villa, famous for its well preserved third century mosaic floor.